Hello guys, what’s up dudes? How’s the recycling thing going on? Well, let’s do something crazy today. We just thought to start a project of creative upcycled crafts and décor. 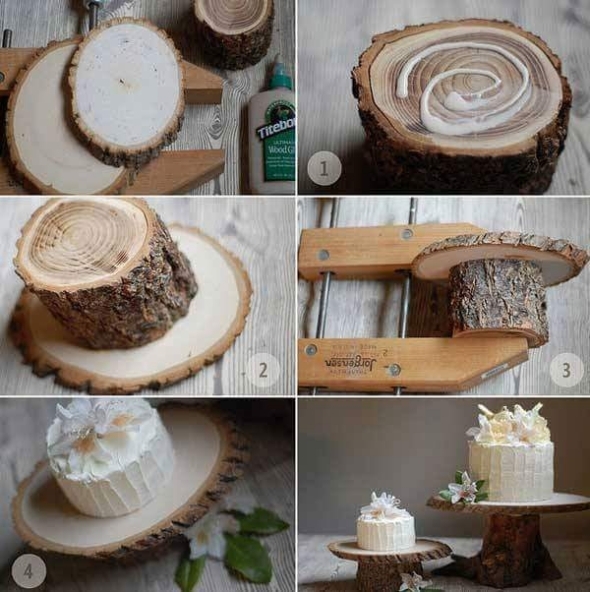 What exactly we have got to do, we would be repurposing the debarked wood pieces and would be upcycling them to make some attractive décor crafts. 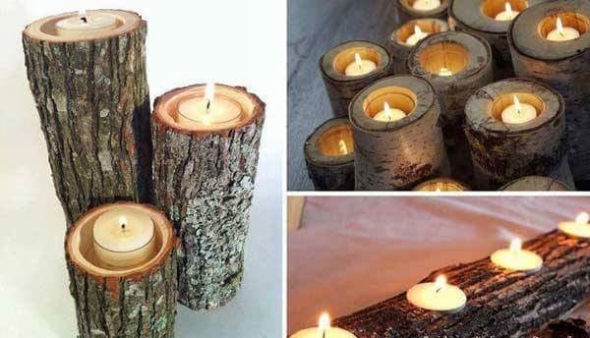 In this way we would be giving a new life to the ordinary debarked wooden pieces, and we would also be saving a lot of bucks in the decoration of our homes. 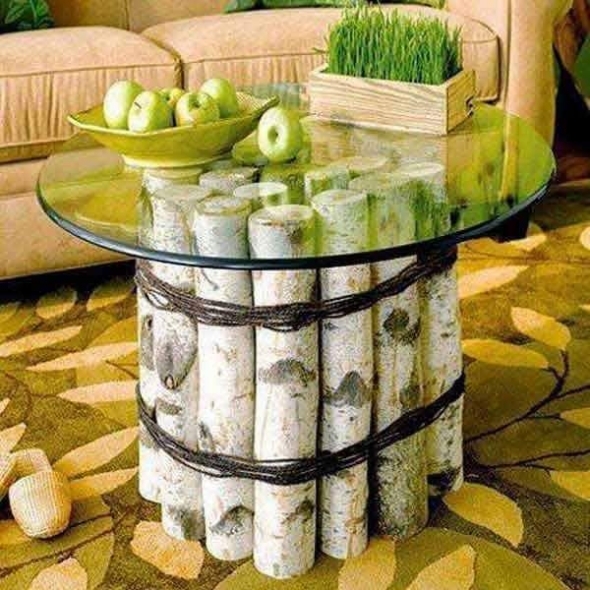 The ideas would be applied indoor and outdoor as well, hope you guys like these crazy creative upcycled crafts and décor. 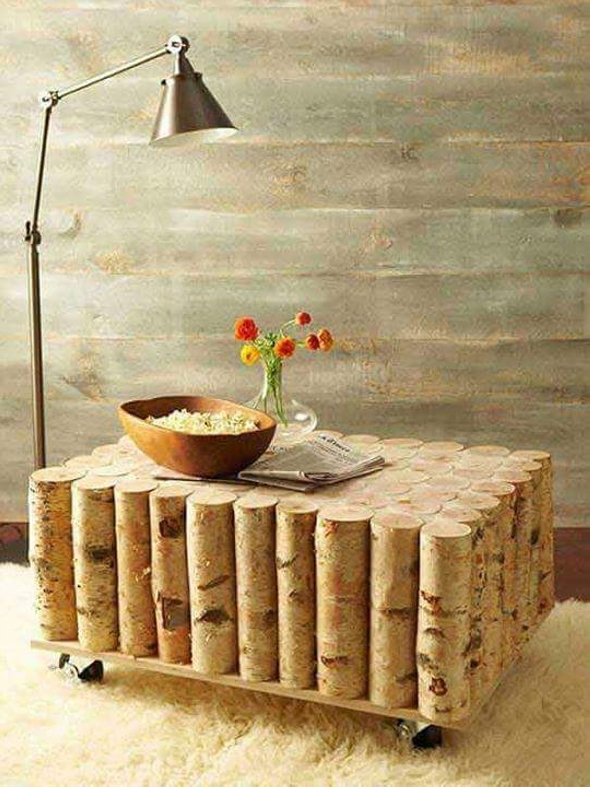 This awesome wooden coffee table would be a surprising addition to your home interior. We have used a bunch of debarked wooden pieces cut in equal sizes from the pine trees, and by joining them together we have turned them into a marvelous coffee table. And here we did something entirely different. Prior to this one, we have recycled the wooden pallet in making the wall art, but this time we have used these debarked wooden pieces in the wall art. This is a nice touch to your home interior for good. 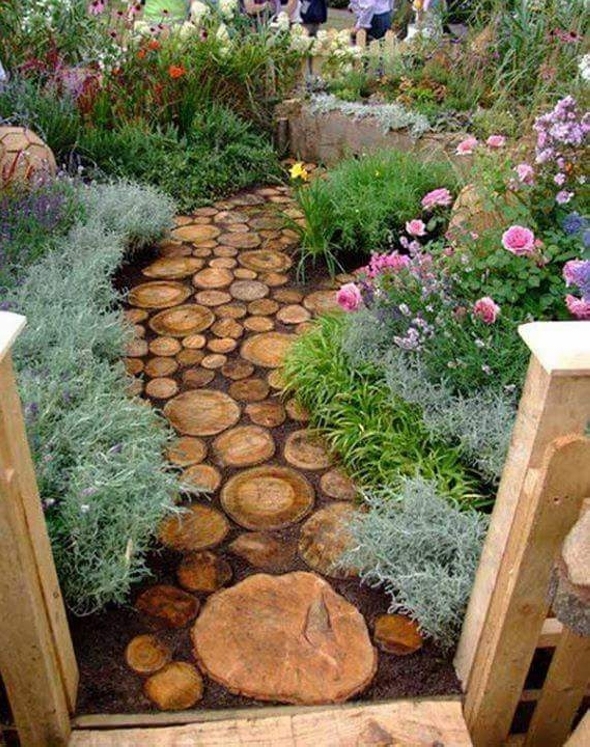 Making a garden passage way has always been in limelight. 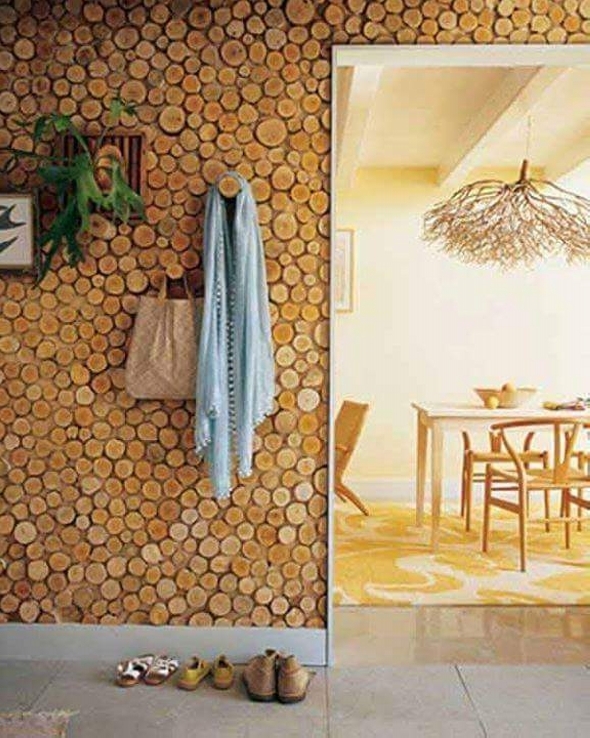 Numerous stuffs are used for making this traditional passage way, but I believe making the garden passage way as a décor item, this debarked wood has really done a great job for sure. 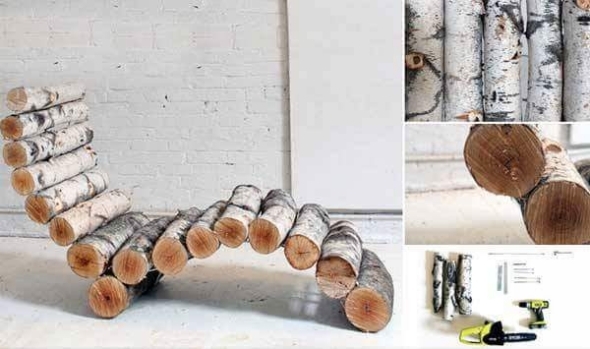 And meanwhile there is a strange wooden object waiting for you, this crazy easy chair looking thing could undoubtedly be used as mere decoration piece. But being smart enough, you could also use it practically if you put on some comforters and pillows on it as it won’t be appropriate to sit on this plain wooden decorative chair. Wow, we strongly believe in the idea that art has no limits. 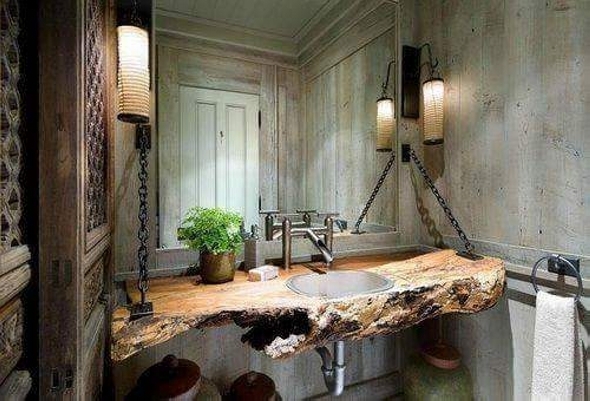 But who thought that this rough and rustic broken wooden piece could be used inside a lavish washroom in an urban setting? Well, this is art which brought it right here for making a vintage washroom basin. Really good work my fellow crafters, you guys simply rock. Otherwise nobody on earth could have shaped mere wooden bars and a glass top into such a ravishing and stylish room table. This takes nothing but your creativity and a bit of your time to make such wonders happen. And here we have turned this rustic wooden bar into a vintage pencil carrier or stand. All we have done is some smart drilling inside the wooden bar to make it a creative and smart art craft, and it is all set to be used. Who on planet earth would deny the distinguished stature of this crazy wooden vase? 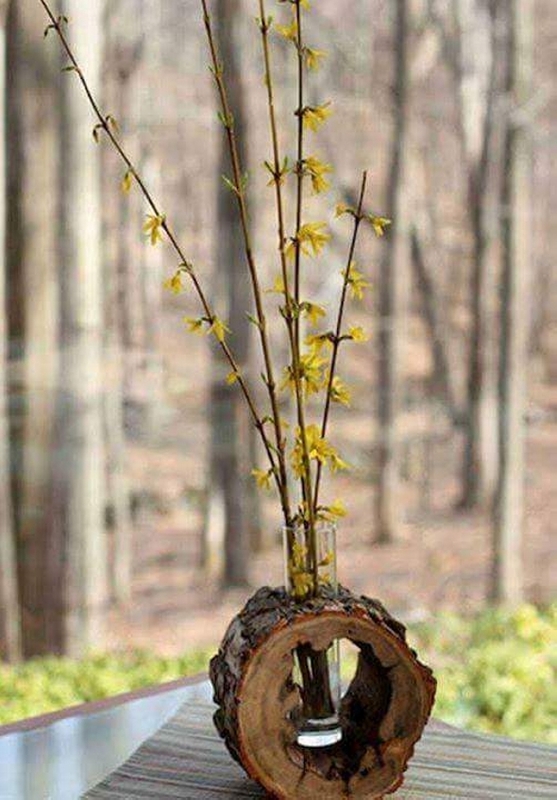 This was an ordinary glass vase unless it was lagging this creative addition, and just the touch of wooden bar has changed it into something exceptional, something eternal. All the beauty lies in the wildness and roughness of debarked wooden piece. All of these wooden made creative art crafts are simply gorgeous. And you know what is the best part, they take nothing from you but just a bit of consideration and then concentration, and again you would end up making something too good for your room interior. 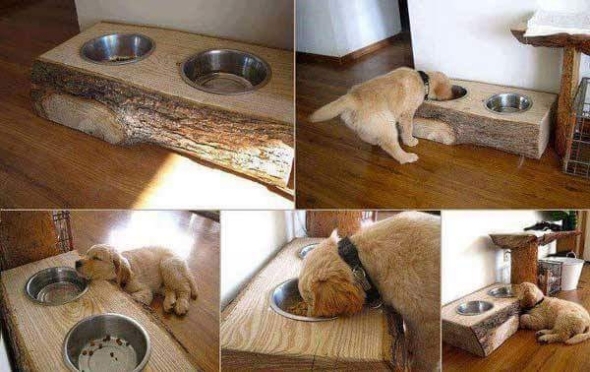 Just don’t underestimate the potential power of a broken rustic wooden piece, you can utilize it in countless ways. All it takes is your smartness and creativity. Otherwise you would have paid hundreds of bucks on buying this dog food container but here you would be making it all free of cost. Room piling and wooden flooring has always been one of the most expensive embellishments for a house hold. But our smart crafters have always worked out some genius plans to get it done against very minor expenses. 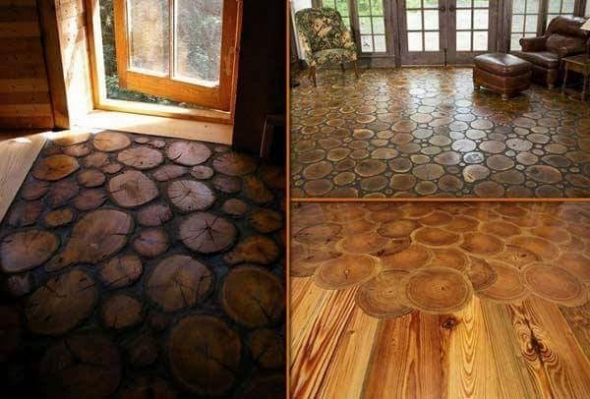 How about this idea of using debarked wood pieces in wooden flooring? 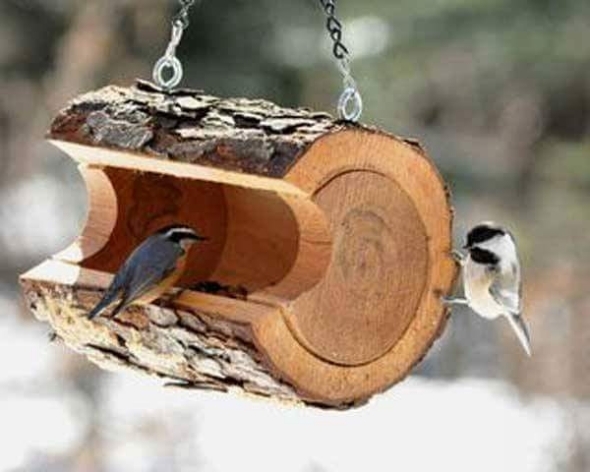 Wow, this bird house makes me feel like a bird really, this fascinates me to the max. this splendid wooden bird house having the simplest shape could be a great gift for your pet birds where they would be spending some great moments in the pretty wild atmosphere hanging along the tree. 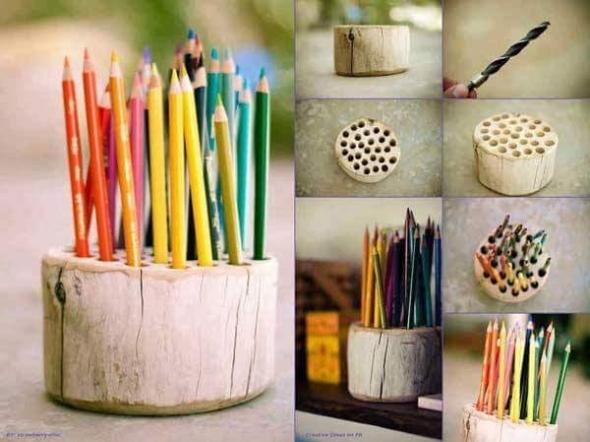 This is just the creativity which helps you turn the ordinary things into some extra ordinary art crafts. Like this wooden vase, this gigantic wooden vase could also be used on various other places. 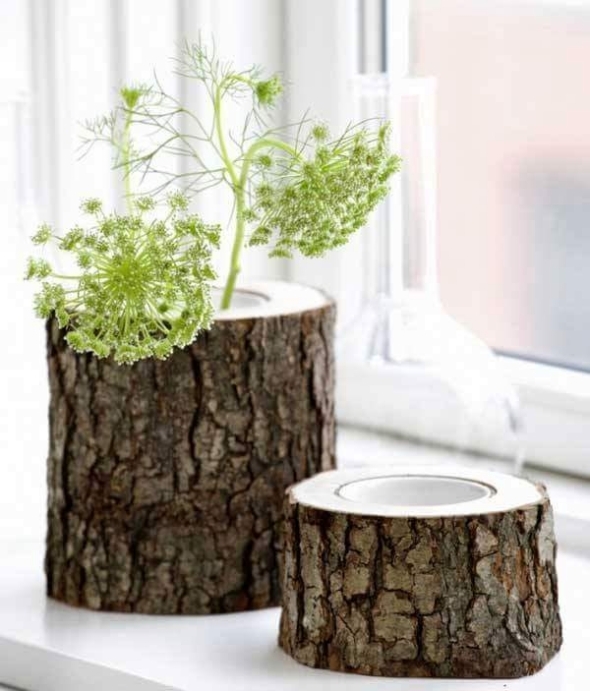 But their roughness and wild look would certainly add much value to your home interior. 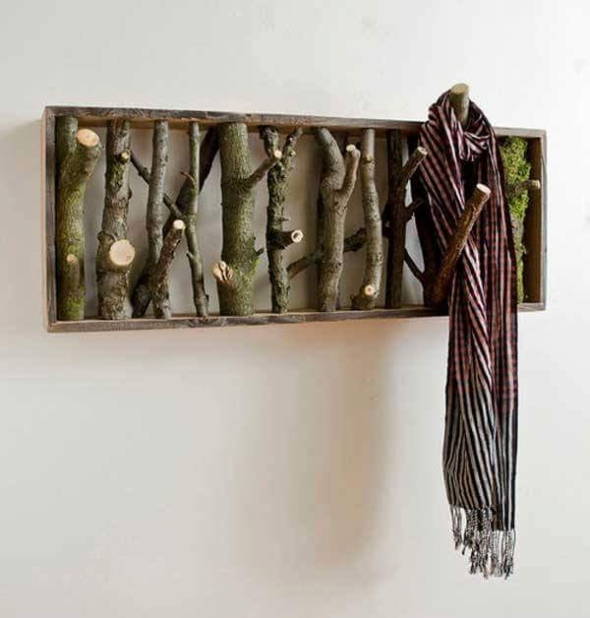 And lastly this wooden coat or scarf rack is something truly practical. All of us need something like that, so the ones among you who want this and also don’t want to get stuck with the finances, this ultra smart wooden creation is a great remedy for all of them.